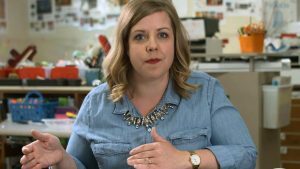 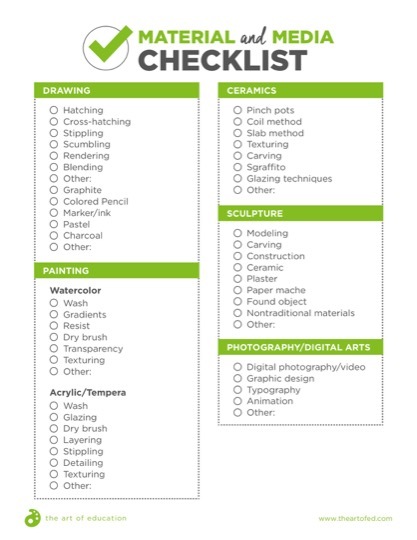 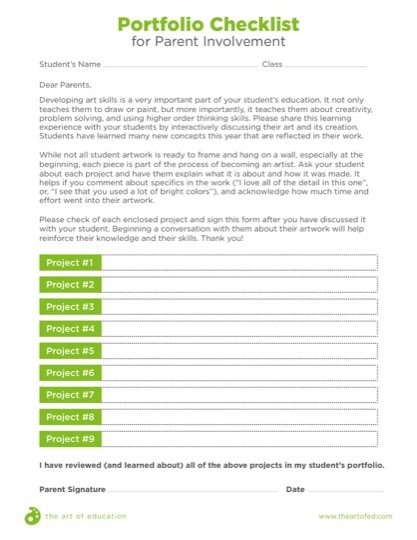 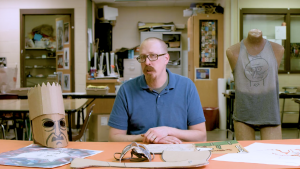 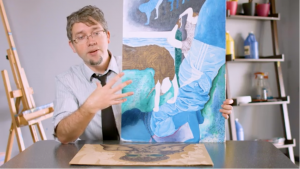 Did you know that portfolios can (and should) be used by every art student you teach? 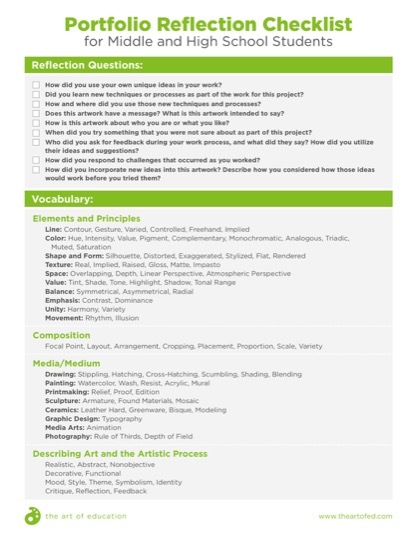 Portfolios are not just a place to store work. 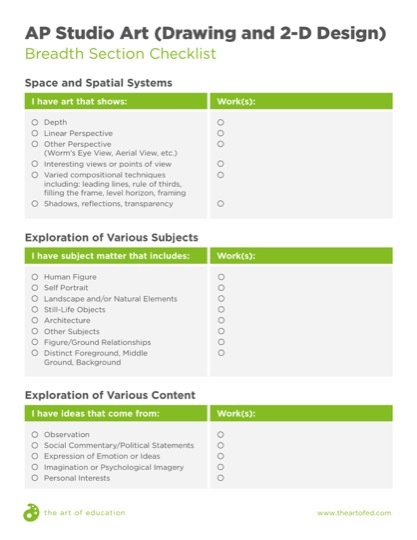 They are the perfect tool for summative assessments and a great way to guide student reflections, critiques, and learning processes. 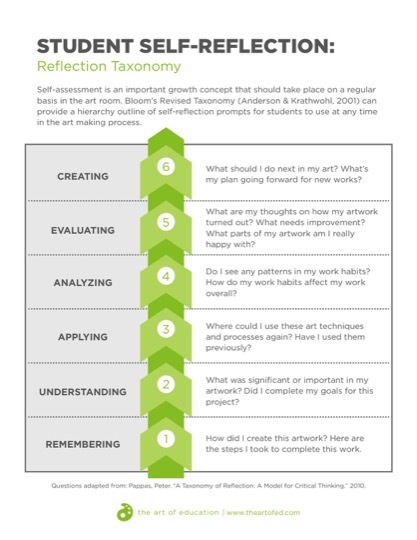 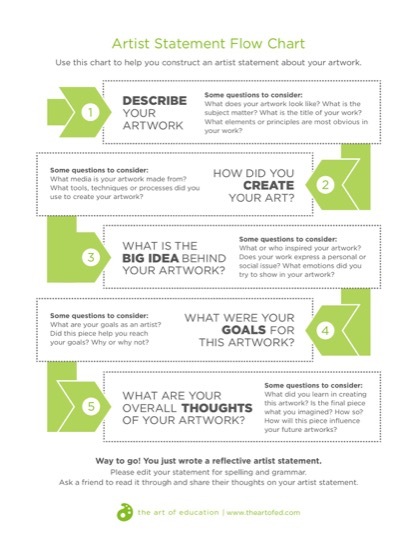 In this Learning Pack, learn how to help your students collect their best work and turn it into a thorough, relevant learning experience that captures their growth as a student artist. 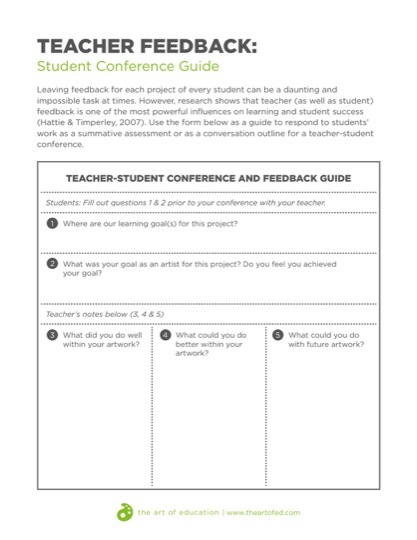 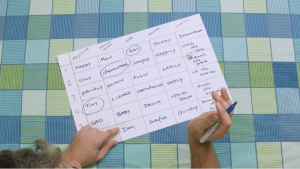 Bring On The Benefits of 1-on-1 Conferencing!